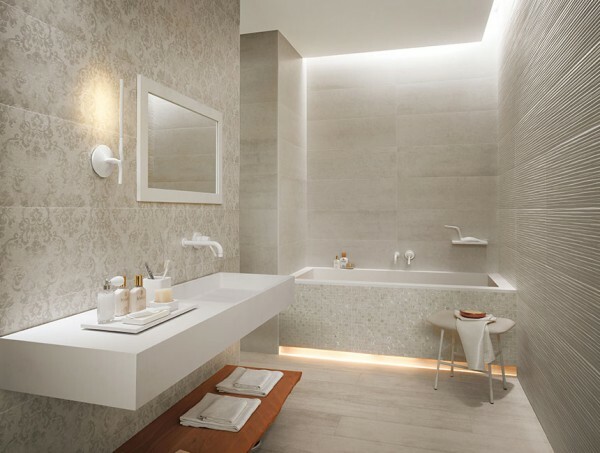 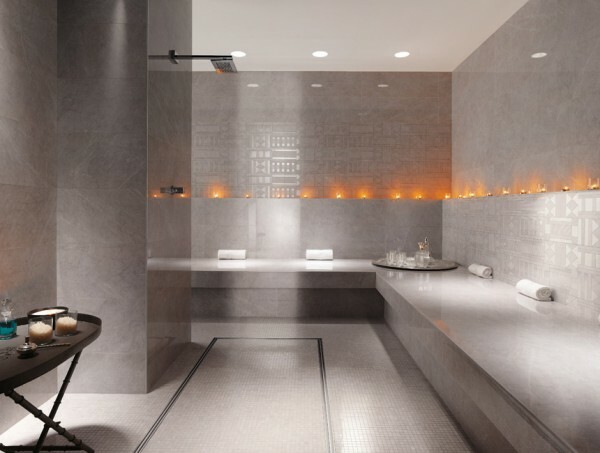 We couldn't help but swoon over these bathroom designs, from FAPCeramiche, that shine with lavish style from the top of their seam to seam tiled walls, to the tip of their prettily patterned toes. 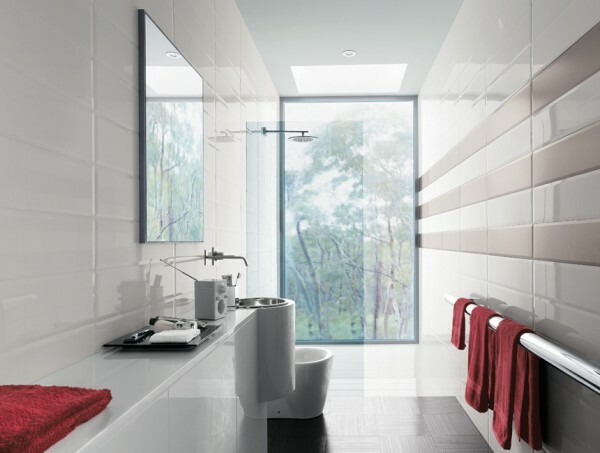 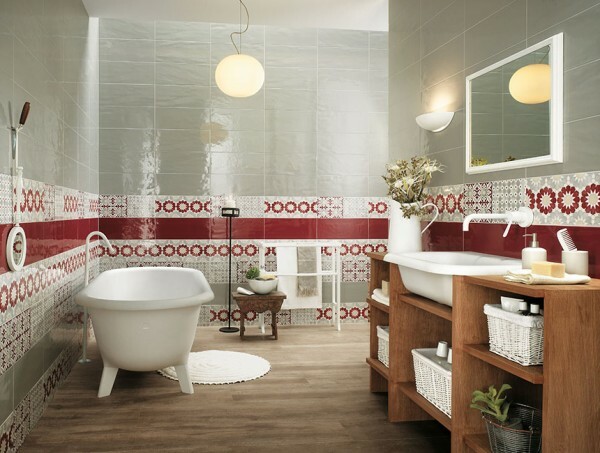 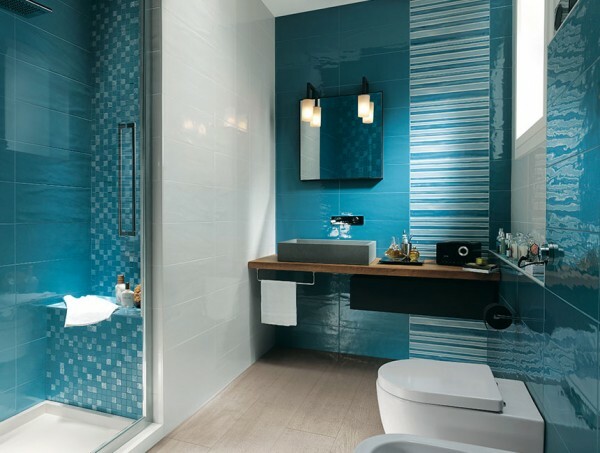 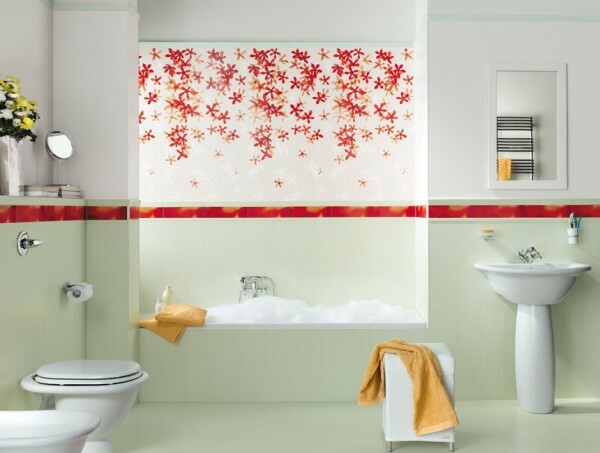 With so many different bathroom styles to wander through you will be searching for reasons to rip out your old humdrum decor and put in a new design, with a fully-fitted layout and banks of beautiful complimenting tiles. This swath of creamy tiles views like a luxurious wallpaper, complete with a large repeat pattern that brings a feeling of expense. The textured tiles on the opposite wall hold a horizontal line that gives the wall a longer look, therefore increasing the feeling of space in close quarters. 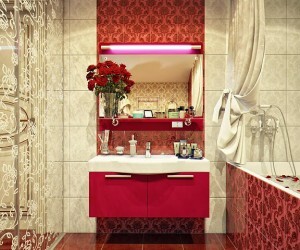 This bathroom makes a statement and then some! 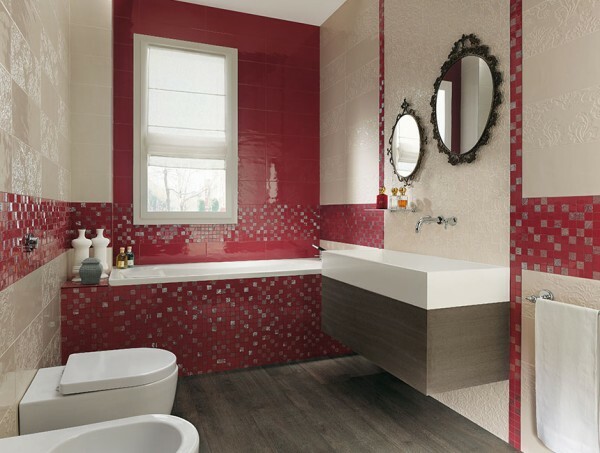 Geometric patterns adorn large wall tiles, creating a splash of statement color in a room that quite often lacks oomph! The facing cuboid basins add to the off-beat quirky image of the room. 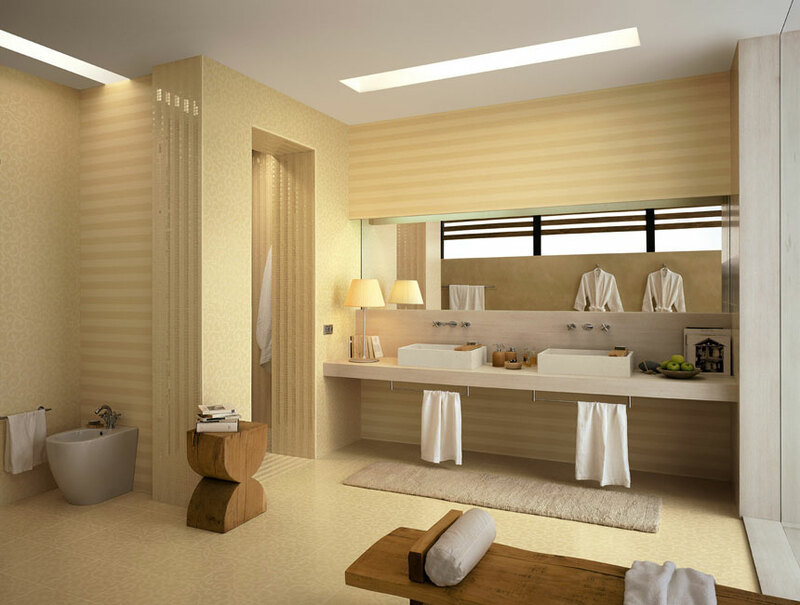 If a neutral spa-like décor is much more your thing, then there’s no need to be a plain-Jane about it. 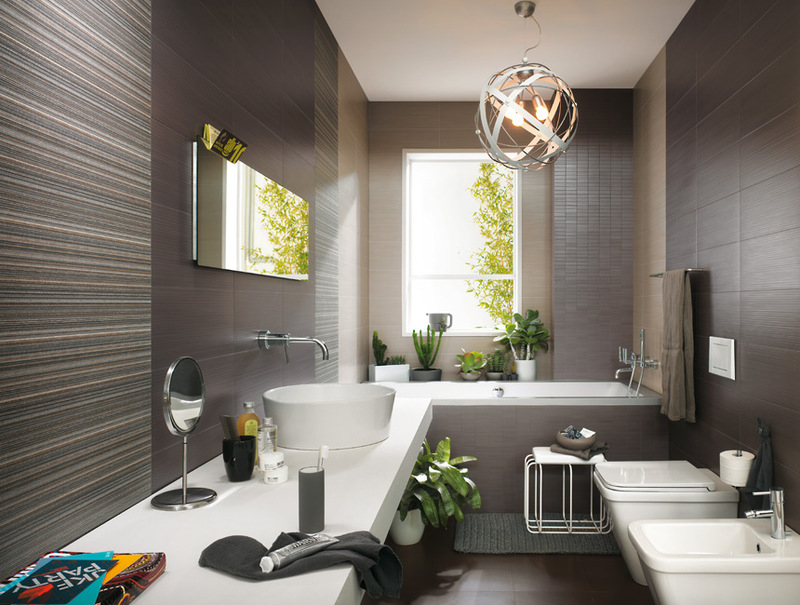 This bathroom decor sports a beautiful irregular pattern within its subtle tones, and the darker walls of the walk-in shower really beef up the pallet. The zesty orange furniture in this one really work against the lime stripes, but we’re not sure that promoting laptop use in the bathroom is the best idea-steam is not your laptop’s friend! 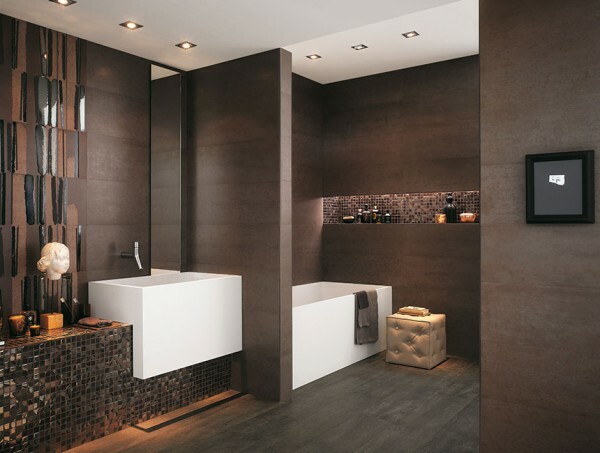 The warm looking brown backdrop in this shower gives a beautiful wood paneling effect. 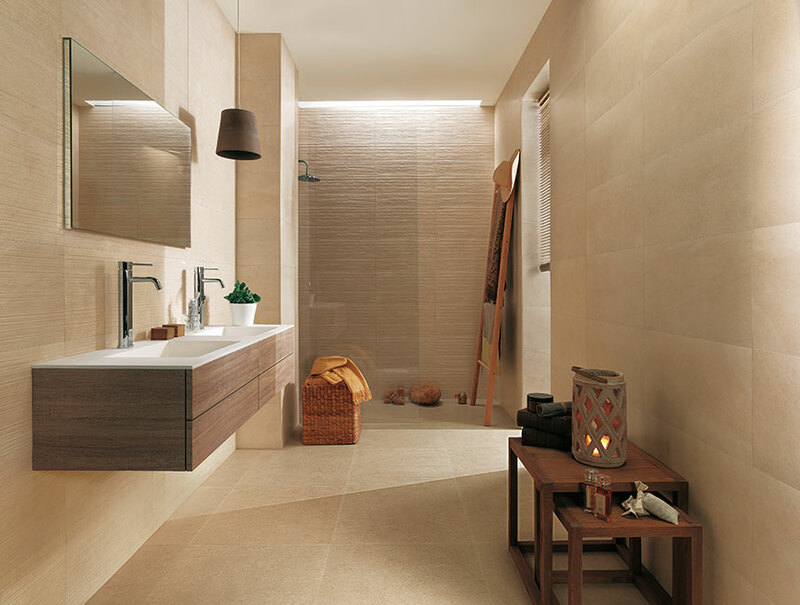 Add interest to your floor by creating a ’tile-rug’-simple but effective! 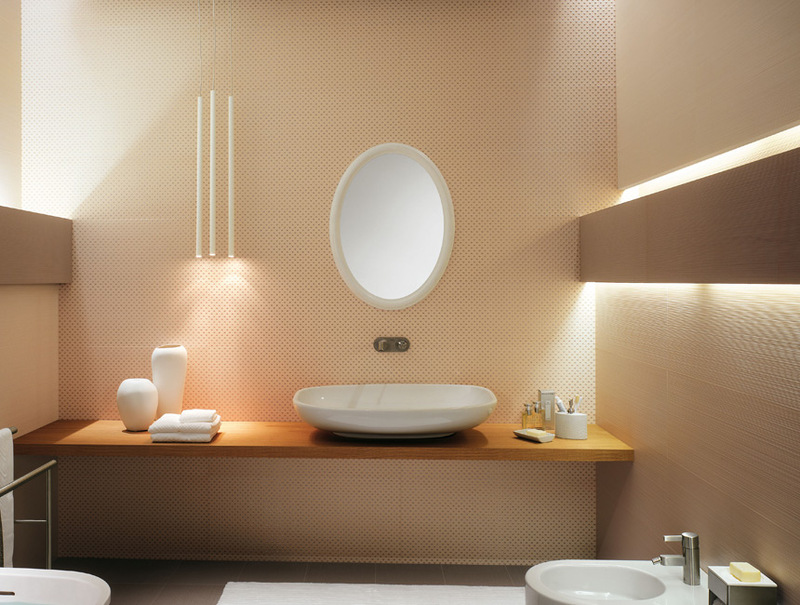 Consider adding a border shelf-or utilize the boxing in of pipes-to hold twinkling tea lights, creating a cozy cocoon. 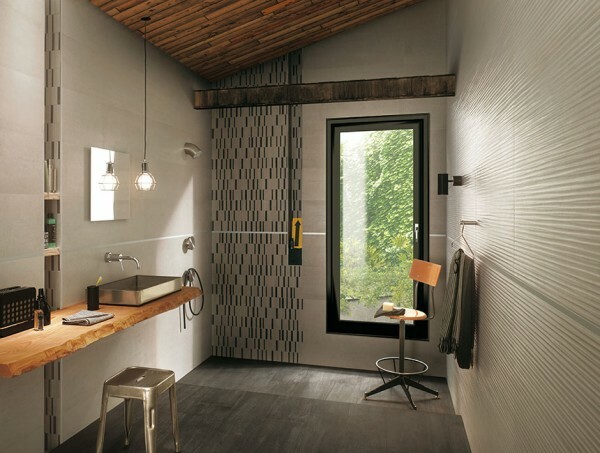 Using a selection of different tiles within the same color family can make a small space look amazing. 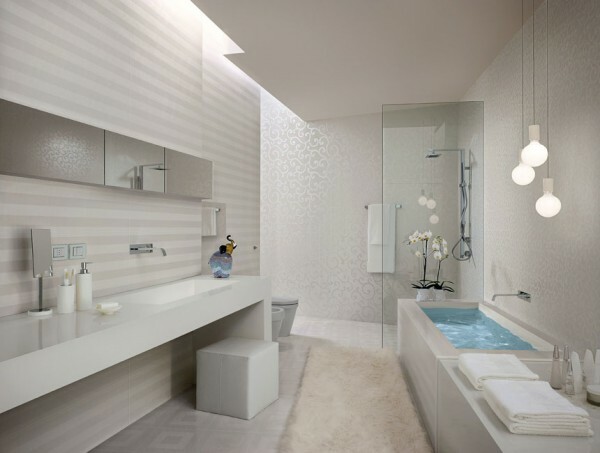 You can even paint a picture with patterned tiles.